The Chinese military has become increasingly unhappy with American surveillance in the East China Sea and in Southeast Asia in the South China Sea, where Beijing claims full sovereignty in an ongoing dispute with U.S. allies in the region such as the Philippines. Two Chinese fighter jets have buzzed a U.S. spy plane that sniffs out nuclear radiation while flying over the East China Sea, underlining Beijing's discomfort with American surveillance in its neighborhood. The incident, reported Friday, also comes amid disagreement between the two countries on how to confront the nuclear and missile programs of North Korea, which depends on China as its main economic lifeline. The American plane, a WC-135 Constant Phoenix, collects samples from the air to detect nuclear explosions. The U.S. Air Force said it was on a routine mission in international airspace. An American official told CNN, however, that the plane has been regularly deployed in Northeast Asia to gather evidence of possible further nuclear tests by North Korea. Intercepts are not uncommon in both areas. But the latest incident appeared an unusually tight encounter. 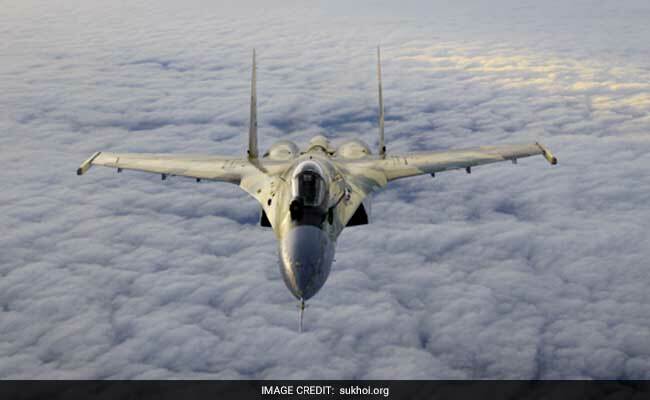 Two Chinese SU-30 fighters flew up close to an American WC-135 on Wednesday, the U.S. Air Force said in a statement, saying the American aircrew had described the intercept as "unprofessional," based on the Chinese pilot's maneuvers and the speeds and proximity involved. "The issue is being addressed with China through appropriate diplomatic and military channels," said Air Force spokeswoman Lt. Col. Lori Hodge, adding a U.S. military investigation into the intercept was underway. Chinese foreign ministry spokeswoman Hua Chunying declined to comment on the specific incident, referring questions to the defense ministry which not yet commented. "But as we said before, for a long time, the surveillance activities of U.S. military planes and ships near China's territory are very likely to lead to misunderstanding, miscalculation, and accidents on the sea or in the air," she told a regular news conference. "So we hope the U.S. side can respect China's reasonable national security concerns." Whether the close encounter was meant to send a signal to the Americans or was merely the action of an over exuberant pilot is not clear, experts said. The U.S. official told CNN the Chinese jets came within 150 feet of the U.S. plane, with one of the Su-30s flying inverted, or upside down, directly above the American plane. "U.S. military aircraft routinely transit international airspace throughout the Pacific, including the East China Sea," Hodge said. "This flight was no exception." China is also deeply unhappy about the deployment of a U.S. missile defense system in South Korea, which is meant to protect the country against attack from the North but which Beijing fears will also be used to spy on its territory. Du Xiaojun, an expert in East Asian security at Guangxi University for Nationalities, said incident highlighted the "security dilemma" between China and the United States. "The United States, Japan and South Korea always say their moves are targeting North Korea, but China has many reasons not to believe so," Du said. "It's hard for China to tell whether the surveillance was targeting North Korea or China's military deployment," he added, comparing it to American mistrust about China's island building in the South China Sea, which Beijing insists is for civilian use. "Both sides suffer from misunderstandings and lack mutual trust." President Donald Trump has praised China's President Xi Jinping for helping the United States put pressure on North Korea to convince it to dismantle its nuclear and missile program, and China says it is enforcing United Nation sanctions and has suspended coal imports. However, experts say Beijing is unwilling to push the Pyongyang regime too far, and does not want to see the regime fall. It is pushing for dialogue between the two sides. This latest incident, together with the furor over the deployment of the Terminal High Altitude Aerial Defense (THAAD) system in South Korea, is a reminder of how even defensive actions by the United States relating to North Korea can spook China. More than that, it underlines the tensions over American military surveillance in the region. In December a Chinese naval ship seized an underwater American drone in international waters in the South China Sea, only returning it the following week. In February, a Chinese military plane crossed near the nose of a Navy P-3C Orion anti-submarine and surveillance plane above the South China Sea, flying within about 1,000 feet in an encounter the Pentagon described as unsafe, but probably unintentional. In April 2001, a Chinese jet fighter collided with a U.S. surveillance plane over the South China Sea, leading to the death of the Chinese pilot and the detention of the 24 U.S. crew members in China for 10 days. Since then, the two countries have established closer contacts in to prevent similar incidents sparking an international crisis.